Click on the swatches below for enlarged view of fabric colors. Click on “Size” selection. A 16″ Average Joe™ will fit nicely on a person of 5’5″- 5-7″ height and avg build. NOTE: All V3.0 types are fitted. Recommended: Measure length on your body with any string. Measure length, not diameter. VapeSling® Canvas cradle is reinforced with a double layer of ultra-thin PVC for strength and liquid resistance. Please make size as well as color choice. A 18″ Average Joe™ will fit nicely on a person of 5’6″-6ft height and avg build. The V3.0 Average Joe™ is a neck lanyard. It is an excellent fit for all e-cig sizes, from small e-pens to large BOX Mods. Your device will remain upright in a comfortable position. Can be worn in or outside of your shirt or top. 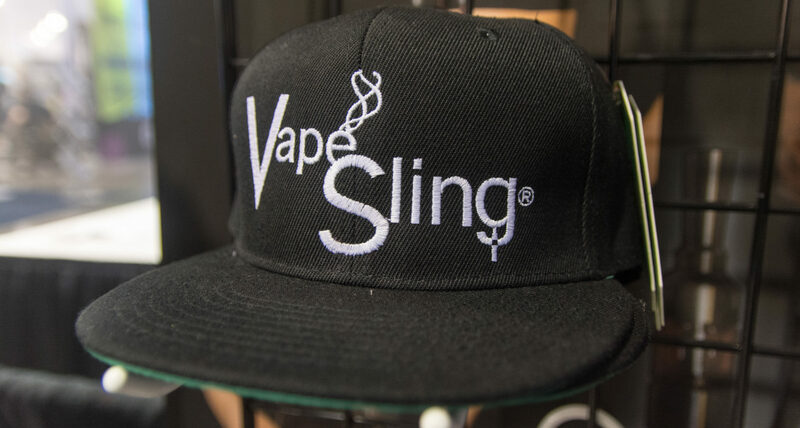 The new wide web sling provides excellent comfort while letting you vape on the go. Having your vape conveniently available at chest level, for most vapers sweet spot. 15", 16", 17", 18", 19", 20"
OMG! One of the best inventions EVER! I absolutely, positively, without doubt or reservation, LOVE my new, customized ALL Purple VapeSling! ? ? It’s all purple, it’s cool, it’s comfortable to use, & it TOTALLY ROCKS!! ? Best part, other than the fact that it was customized especially for me, (I feel so special, loved & spoiled), it’s impossible to drop my mod! ?? ?I highly recommend you get yourself one of these Average Joe V3.0’s from VapeSling! ???? Thank you so very much JG & Roe for your dedication, love & hard work for the Vape Community! I appreciate you so very much! ??? Much Love Always! ? Thanks for your kind comments Kimberly. We are so glad you love your new Average Joe V3.